(06.06) No.331 – Chandrasekaran KR – An active play of white Knights in Superguards problem! Now there are three sections under the Original Problems top menu: Julia’sFairies-2012 with all problems of the year 2012; Julia’sFairies-2013(I) with all problems of January-April, 2013; Julia’sFairies-2013(II) will contain problems of May-August, 2013. The judge for informal fairy tourney 2013(II) – Diyan Kostadinov. Diyan Kostadinov introduces a new fairy condition – Circe X! Definition: as a normal Circe – captured units (not Ks) reappear on their game-array squares, of the same colour (pieces), on the file of capture (pawns), or on the capture file’s promotion square (fairy pieces), but if the rebirth square is already occupied by another piece (A) it must immediately move (without capturing) vacating the square for landing of the captured piece (B). The capturing side decides where the piece A should move. If there is not possible legal movement, the capture is not allowed (or possible variation – the captured piece disappearing). →See schemes and examples at KobulChess! (04.06) No.330 – Michael Grushko & Semion Shifrin – Surprising four-men with AUW! (03.06) No.329 – S.K.Balasubramanian – Fireworks of Chinese-Indian effects! (02.06) No.327,328 – Stephan Dietrich -Two serial problems with jumping units – mooses, eagles, sparrows! (02.06) No.326.1 – Michel Caillaud & Julia Vysotska – Improved version to No.326 with a gratitude to commentators! I received 50 problems from C.G.S.Narayanan in anonymous diagrams. It was nice to get so many entries though the Superguards condition was programmed only in Winchloe. It is gratifying to know that so many leading composers liked the new fairy condition and that 17 of them (from 13 countries) participated in the tourney. Many correspondents helped and encouraged me with valuable inputs before I publicized the new Fairy condition ‘Superguards’. Apart from my Indian colleagues, special mention should be made of C.J.Feather, J.M.Rice (who suggested the name Superguards), Kevin Begley, Diyan Kostadinov, Petko A.Petkov, Christian Poisson & Julia Vysotska. I thank all the participants especially Mr.Jacques Rotenberg (20 entries!) and the Tourney Director. Congratulations to the award winners. Here is myaward which will be final after 15 days. →See the Award! 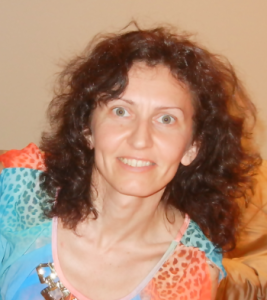 (31.05) No.326 – Michel Caillaud & Julia Vysotska – Entertaining problem with promoted Chameleons. (31.05) No.325 – Paul Rãican – A strange and difficult PG-play! (30.05) No.324 – Manfred Rittirsch – The problem below is C- and uses a combination of two conditions – Anticirce + Superguards. It opens a question about treating of this combination by solving programs. The International Chess Federation (FIDE), within the framework of its “Chess Composition” special project, is organising the 3rd FIDE World Cup in Composing for 2013 in eight sections. The closing date is September 1st, 2013. (25.05) No.323 – Geoff Foster – A very nice three-men with Poseidons’ play! I’m really surprised that Poseidon has became so popular here! First of all I’d like to remind you that the 1st of June is very close – and it is the last day for submitting your problems to FIDE Album 2010-2012. See the Announcement at WFCC website! • I’m happy to let you know that yesterday I’ve got from Juraj Brabec the Award for JF-2013-I informal tourney! There’re many awarded problems and about 7 pages of interesting comments written in a nice cosy style. Thanks a lot to Juraj for so fast judging! • I’m sorry to tell you, that most probably you’ll see the award in the first days of June only, as I have to translate it from Russian into English, and to prepare for publication; but as a lazy student I haven’t prepared my selection for FIDE Album yet, and need some time now to do it. Looking at the silence here, I guess that many of you are busy with Album’s problems now. I wish you good luck in preparing your selections! And I’m waiting for your activity here again! (20.05.2013) The website for chess composition KoBulChess.com organizing a memorial tourney on the occasion of the 85th anniversary of the famous Bulgarian chess composer of the recent past FM Vladimir Zabunov (1928-1997). Theme: Help-selfmate in 2-4 moves (HS#2-4) with the Zabunov theme – the front piece from one battery makes an ambush move and becomes the rear piece of a newly created battery. Anti-batteries and other type specific fairy batteries can be used too. Fairy pieces and conditions are allowed, but the problems must be computer checked by the solving program Popeye or WinChloe. The judge of the tourney is GM Petko Petkov (Bulgaria). Deadline: 15.11.2013. 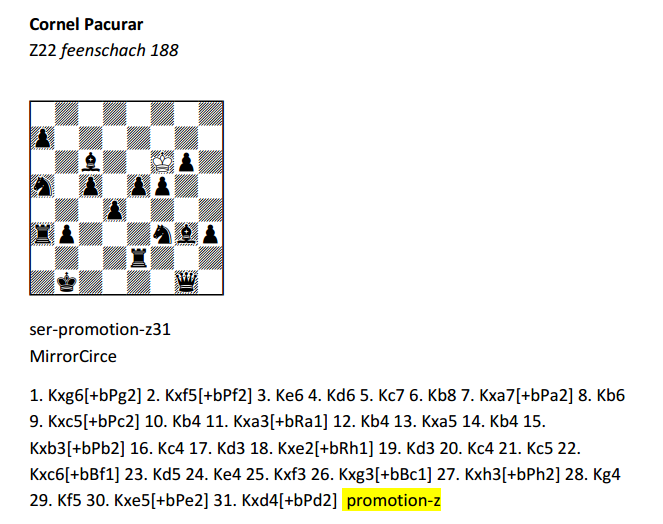 The award will be published in KoBulChess.com till to the end of 2013. See the whole announcement at KoBulChess.com website! The theme is: problems with a fairy condition and a zugzwang goal Gz. ♦ and is not in check. Closing date is 18:00 on Sunday, May,19th!! !